Got a shock to see this in the Melbourne Virgin Lounge today. The blurb feels like a justification as opposed to encouragement. In my opinion it isn’t entirely accurate either. Expats tended to avoided it because Snow Beer had the reputation of containing formaldehyde. This was a little unfair because almost Chinese beer contained formaldehyde at one point, until the practice was made illegal. Still the mud stuck. 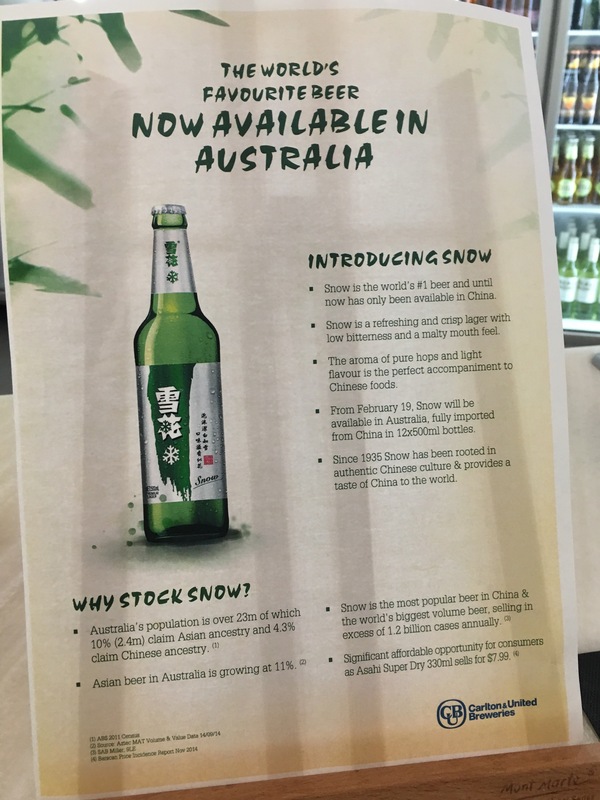 The odd statement in the blurb is “Significant affordable opportunity for consumers as Asahi Super Dry 330ml sells for $7.99”. A footnote adds – in “Nov 2014”. So what’s Snow going to cost? The blurb doesn’t say. I reckon it’ll be marked up in the same place an Asahi costs $8 – which would have to be a bar right? A stubble of Pearl River at a trendy dumpling bar in Sydney generally costs $8. With the 500ml bottle, the bar owners will have a field day. Back in China this cost about 3RMB a bottle (always seemed cheaper than Tsingtao or Pearl River). So a 12 pack would cost about $7.68 – still less than that outrageously priced Asahi. 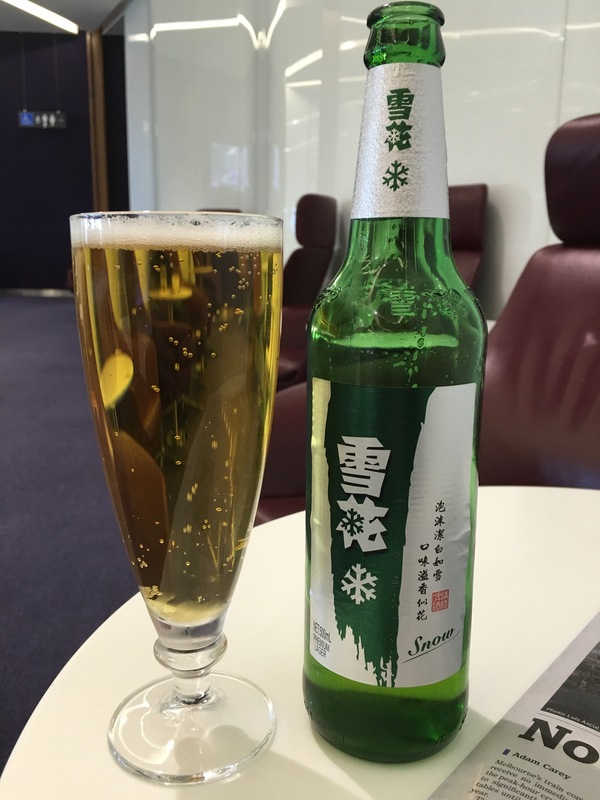 It actually tasted better than I remember – but it is still an insipid Chinese lager.